Product prices and availability are accurate as of 2019-04-22 17:58:36 UTC and are subject to change. Any price and availability information displayed on http://www.amazon.com/ at the time of purchase will apply to the purchase of this product. Lets face it, sitting in a tree stand does not always offer the space needed to hang up your hat, quiver, rattling antlers, grunt calls or any other piece of equipment we bring in the stand to attract that trophy animal. 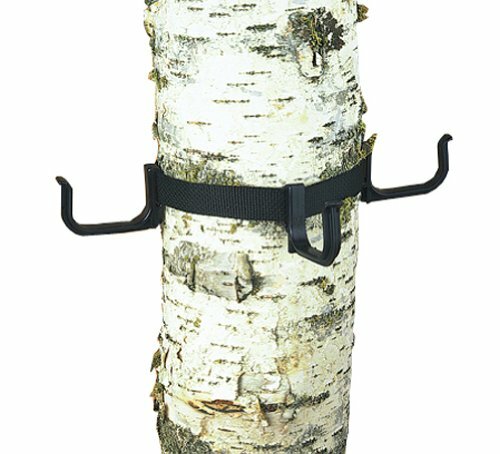 With The Hunt-n-Gear Equipment Hanger you can now bring your hunting accessories in the tree stand and safely hang them within your reach. No more balancing things on branches or making noise trying to get them out of your jacket. Everything is right within your reach. Our hanger features three adjustable sliding super tuff nylon hooks. Just slide the hooks to the most convenient location for the equipment you're hanging. 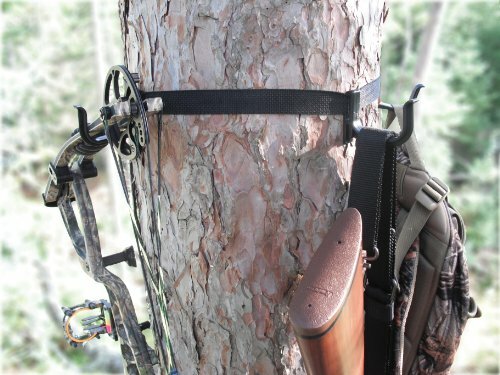 The Hunt-n-Gear Equipment Hanger is not harmful to the tree. The reinforced nylon strap with a quick connect buckle is adjustable to fit trees up to approx. 18-Inch in diameter. Made in the U.S.A. CAUTION: DO NOT use as as safety belt. (3 hangers and 1 strap per package).